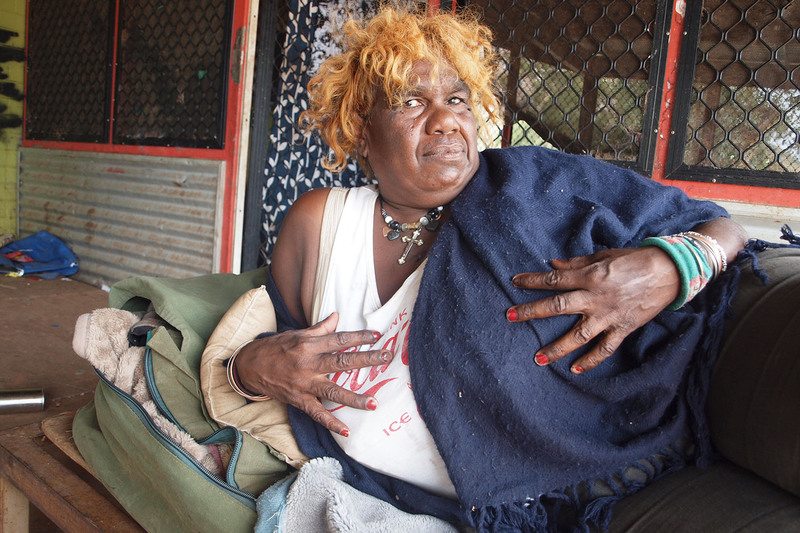 In Chris Barry’s current project, a group of Aboriginal women artists living in various town camps in Alice Springs undertake the daily journey of being picked up from their respective residences and taken to the Art Centre known as Tangentyere Artists. For two years, Barry has been a daily co-driver, as well as being contracted by Tangentyere Council as Studio Manager. During this period, Barry developed a close relationship with six of the women and together discussed the possibilities of making a video project based on their relationship and the everyday lived experiences of those lives. ‘Cruising’ is a term the women enjoy using when they have the opportunity to drive around Alice Springs looking for fellow artists in multifarious locations, and engaging with other kin walking around town. ‘Driving’ is a form of accessibility into their mutual inter- and intra- subjective lives. The concept of journeying also registers the complexities of living under the propriety of a hegemonic community, and its inherent ‘expectations’. In contrast, cruising suggests the unexpected, ad hoc, incremental, provisional, and multivalent nature of Aboriginal life-worlds. The project Cruising continues Barry’s ongoing interest in the ‘performative moment’ set in culture and a practical methodology. The performative moment positions all subjectivities – those in front of the camera and those behind it. It becomes a reworking by performance, a space of proximity, mobility, wherein the camera acts as a catalyst and not as a neutral recording device – its actual ‘presence’ is responsible for creating the responses of the participants being filmed. 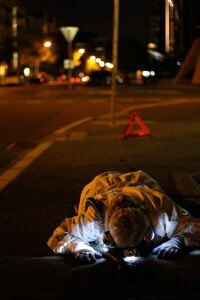 Photography and performance form part of an act of auto/biographical re-presentation. By using a handheld camera, Barry enacts both mobility and proximity. In cultural terms, proximity suggests accountability, reciprocity, and the potential for enduring relationships. Cruising (A Journey into Culture), video still (Joanne Wheeler) HD 5 Screen Video, duration: 16 minutes. Courtesy the artist. 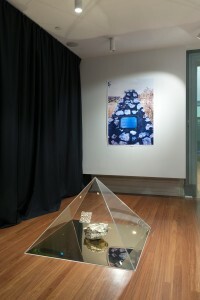 Cruising ( A Journey into Culture), RMIT Gallery, 2015. Photography: Mark Ashkanasy. Cruising (A Journey into Culture), video still (Margaret Boko) HD 5 Screen Video, duration: 16 minutes. Courtesy the artist. Cruising (A Journey into Culture), video still (Betty Conway) HD 5 Screen Video, duration: 16 minutes. Courtesy the artist. Cruising (A Journey into Culture), video still (Joanne Wheeler and Margaret Boko), HD 5 Screen Video, duration: 16 minutes. Courtesy the artist. Cruising (A Journey into Culture), video still (Joanne Wheeler), HD 5 Screen Video, duration: 16 minutes. Courtesy the artist. A paradox in Chris Barry’s work Cruising (A Journey into Culture) is that the subjects of her photographs – Betty Conway, Margie Boko, and other Aboriginal artists – are, in a literal sense, not moving. Given the Performing Mobilities theme of the project and the highly mobile lives of Aboriginal people both today and in the past (albeit using radically differing modes of transport and technologies) this might seem strange. Yet, the apparent stasis of Barry’s images belies their work as ‘mobiliers’1 that facilitate encounters between Barry, her subjects, viewers and differing notions of cultural (im)mobility. Let me elaborate. The central figures in the photographs are artists who Barry came to know while working in central Australia at the Alice Springs based Art Centre, Tangentyere Artists. One of Barry’s tasks was to provide transport to and from the Centre for the artists who live in Aboriginal ‘town camps’ and residential housing around Alice Springs. 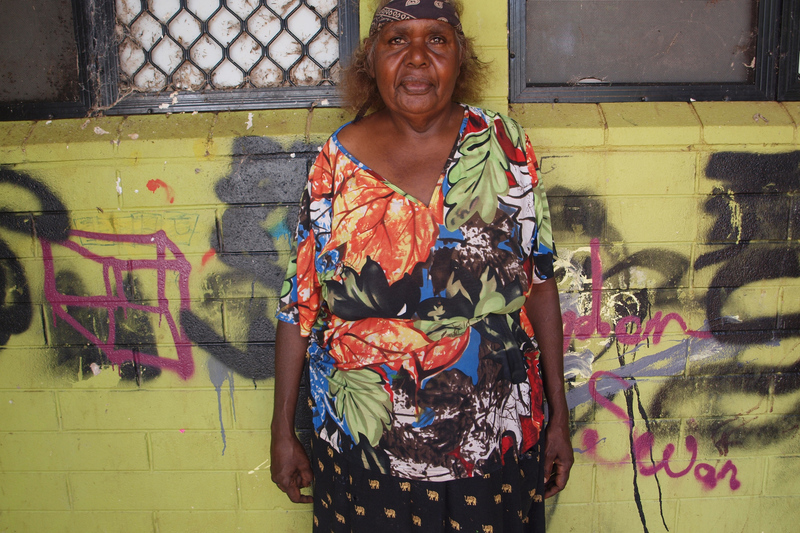 The existence of these neighbourhoods is profoundly political because, prior to 1964, the government enforced strict controls on Aboriginal movement in the town, displacing local Arrernte traditional owners of the country. During the self-determination era that followed, Aboriginal people’s presence in the town increased and the places where they camped – on the fringe of town and oriented in the direction of their home communities – acquired distinct identities. Socially marginalised as ‘other’ and lacking basic services, the town camp residents agitated for secure tenure and recognition. This led to the granting of special purpose leases to housing associations, which are serviced by the Tangentyere Council, of which Tangentyere Artists is an offshoot. 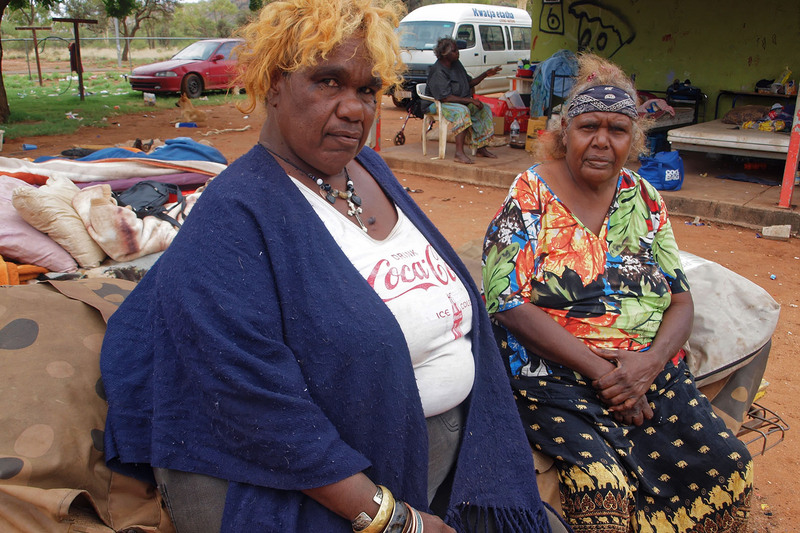 Today, residents of the town camps represent diverse language groups comprising local Arrernte and people from remote communities. Still economically disadvantaged, people’s lives are marked by uncertainty, flux and contingency as they negotiate state interventions and their complex, intercultural life-worlds. People highly value sociality and there is much to-ing and fro-ing of people between the town camps and other places as they visit relatives, participate in social events such as funerals and ceremonies, and otherwise conduct business. 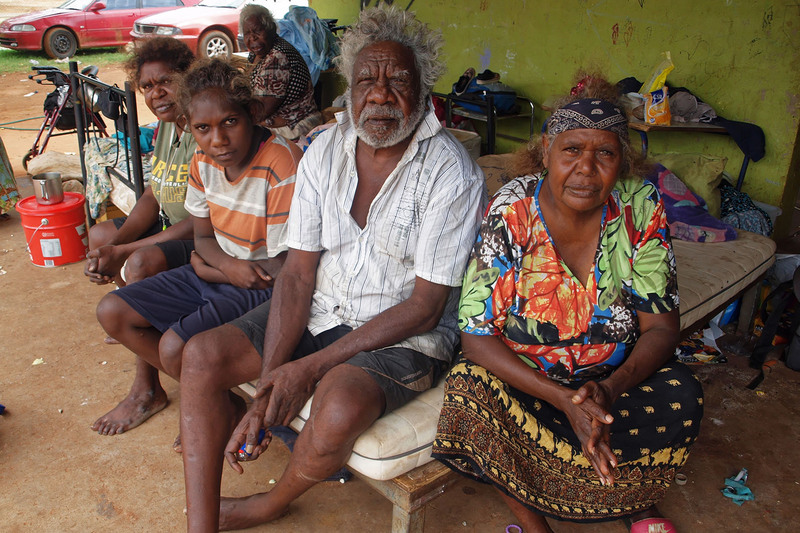 Hence the mobility of Aboriginal people is not merely physical but cultural. In the last few decades, Aboriginal art has exploded onto the world stage, and with it the work of Barry’s subjects. Their depictions of daily life in the town camps and houses challenge mainstream media images of dysfunction associated with cultural difference. They also paint self-portraits, which playfully reference selfies that are captured on mobile phones and circulated on social networking sites such as Facebook. The quiet dignity, measured pride and sense of being at home in the world conveyed by the subjects in Barry’s compelling photographs attest to their intimate relationship with her. In posing for Barry, the artists are self-consciously engaging in a performance that says ‘we are here’ and beckons viewers to positively reimagine their relationship with Aboriginal Australians.